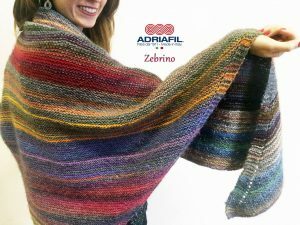 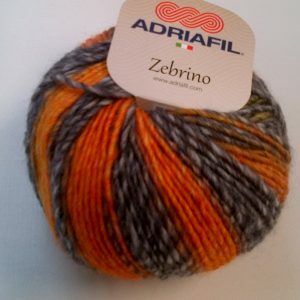 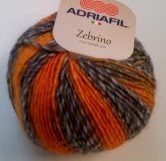 One of our best selling wools; this is a 50g ball, from Adriafil of Italy, and is 53% wool + 47% acrylic. 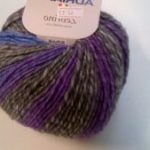 It knits to either a DK or Aran weight pattern, and 4.5mm pins. 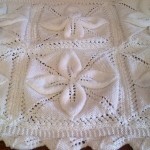 I have knitted this to a shawl on 6mm pins and it’s perfect & a joy to knit with. 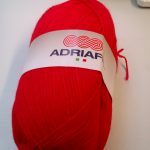 This shawl was knitted on 6mm pins, using a total of 5 balls, one of each colours. 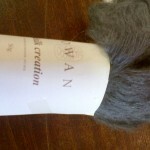 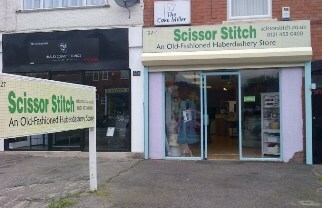 You can buy the kit on this website for £20 as a kit, including 6mm bamboo pins + instructions.